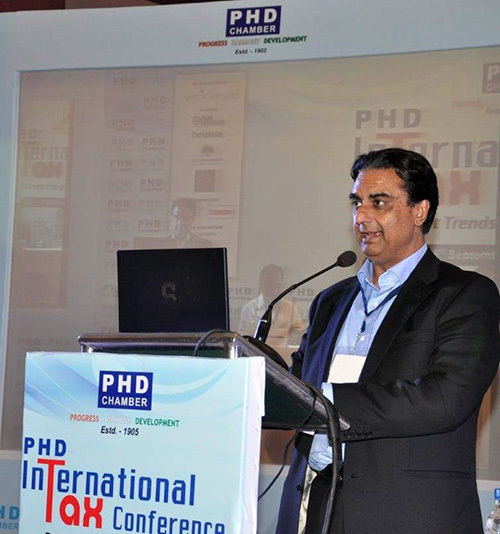 A snapshot of Mr. Chopra from the PHD International Tax Conference – Recent Trends & Key Developments held at New Delhi. Mr. Chopra was the Convenor / Chairman of Direct Taxes Committee of the PHD Chamber, which organized this prestigious event. The Conference aimed to promote an informed dialogue on important issues of International Taxation and to analyze and debate on Indian Tax laws for a more effective & efficient tax regime that would facilitate & promote FDI & Cross Border Trade.